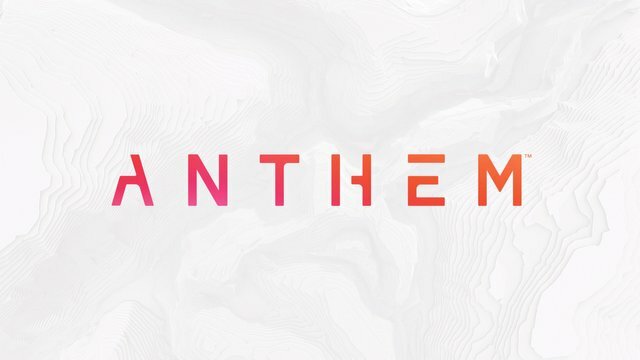 After plenty of debate with myself, I decided to preorder the new Electronic Arts game Anthem a couple of days before its launch. My debate mainly came from doubting how much depth the game would bring from playing with my online friends which is really the main reason I look forward to playing. After talking with them, most were saying this would be where most their time will be spent in the coming days despite the amount of new games and updates being released these days elsewhere. It really was true this weekend as most of my friends were actively playing this weekend after the launch of Anthem. There were those that literally started to play at thr midnight launch and then others that start later that day. The game is mosty made to play with friends given the cooperative focus it provides and that was great as friends helped others catch up on the missions necessary to progress the campaign or main story. However, it was confusing to understand how to track the progress of each other and we soon found that if the progress was not unlocked for some players, it would not give credit to the mission. This resulted in needing to complete the same mission multiple times which felt redundant. However, some of my friends had a great understanding of what needed to be done and when which helped us organize teams to help our progression. In addition, higher level players could help lower in their progression which often helped me catch up. In addition, the fact that it is more open world than other games, it makes it easier to load up any activity to gain experience to help the campaign become easier. I ended playing more than I would have expected this weekend as I enjoyed the time with friends but the game felt somewhat underwhelming given the learning curve and some of the bugs experienced. For example, the loading time felt long even between getting from screen to screen for customization. It felt as if I was playing a lot but to get very little progress which was not too enjoyable in my opinion. However, I believe it can be more related to where I find myself in on the learning curve as others I play with are enjoying the progression and like the depth of the gameplay given all of the side missions and quests as well as all of the exploration that continues to happen in the open world map which is very vertical given that areas can be found below ground or in the mountains found on the map. So while my early experience has been lackluster, I am looking forward to progressing with the friends and forming a better opinion as I heard that the roadmap has even more in store for players in the coming months.